A Christian woman must be bold, courageous, and compassionate. Women are naturally nurturers and emotionally charged, so what a blessing to use these traits for the Lord. Every Christian woman should find a cause or service for God that she can completely devote herself. For some, this may be something a simple as your family or visiting the sick and house bound. It could beas elaborate as organizing a pro-life rally. Whatever cause a Christian woman finds it must be an avenue through which God is glorified and the gospel is proclaimed. By sitting on the sidelines and not fighting for what is godly, we give in to Satan. We need to shout out for those who cannot and defend those without any defenses. As it says in Job 29:15-16, "I was eyes to the blind and feet to the lame. I was a father to the needy, and I searched out the cause of him whom I did not know." This is not a freedom given to judge unless one can judge righteously. Elsewhere the Bible tells us that none are righteous and that we will be judged by the same standard that we judge others. I think the best standard to follow is to defend. This is not a natural reaction for women, especially about other women. I think what God calls us to, though, is not to participate in criticisms and judgments, but to defend those who are being criticized and judged. Instead of joining in conversations about Mrs. X's husband, children, job, etc., we should be the first to jump to her defense. Has God done any less for us? How poor and needy were we when He sent His Son to die for us? 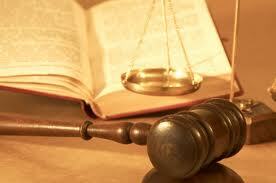 Being a defender instead of a judge is a far better position to find yourself, since God is the only true Judge.